Last.fm users frustrated at the service’s recent decision to start charging for its mobile streaming service have another option from today. We7 has launched a similar offering for free and unlike Last.fm, it works offline too. Only available to Android users in the UK and Ireland at present, the service works like Last.fm by allowing users to create a radio station based on music they like. The app then ‘charges up’ with music from related artists, storing it locally on the handset. A similar service is offered by Slacker Radio in the US, but this is a European first. Let’s say you choose David Bowie as the basis for a station. A maximum 6-7 hours of music from similar artists will be built up on your phone over time, with the app refreshing 20% of it whenever a data connection is available in order to keep a good level of variety. 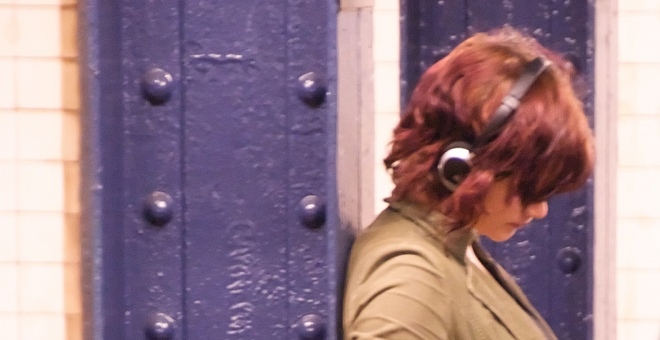 We7’s CEO Steve Purdham tells me stations are populated using data it has gained from partnerships with Last.fm, recommendation service The Filter and also its own algorithms. In addition to personal stations, the app offers curated collections of songs for those wanting a more passive experience. 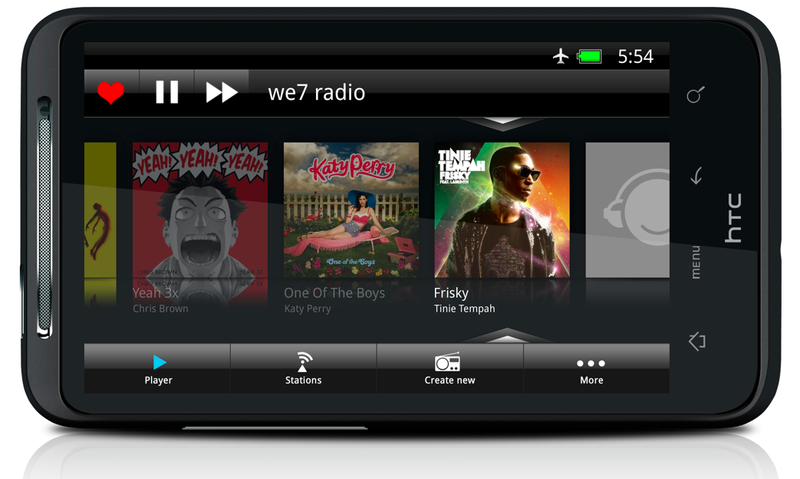 The free service is ad-supported and for £9.99 per month after a two-week trial, users can upgrade to receive We7’s Spotify-like on-demand music service, with access to over 5 million songs. After starting out as a purely on-demand service, UK-based We7 first moved into the personal radio field last year after finding that its customers actually preferred a little less choice. Despite not yet being profitable, Purdham says that the outlook for the company is promising with geolocation and a good knowledge of users’ tastes meaning that it can offer highly relevant, premium audio ads. Today’s launch, along with the news last week that the company is part of a consortium investigating Internet-connected ‘cloud radio’ services, indicates that We7 most likely sees its future as helping to redefine radio, rather than challenging startups like Spotify and Rdio as a straightforward online music service. After recently expanding to Ireland, We7 plans to launch in three more countries this year. 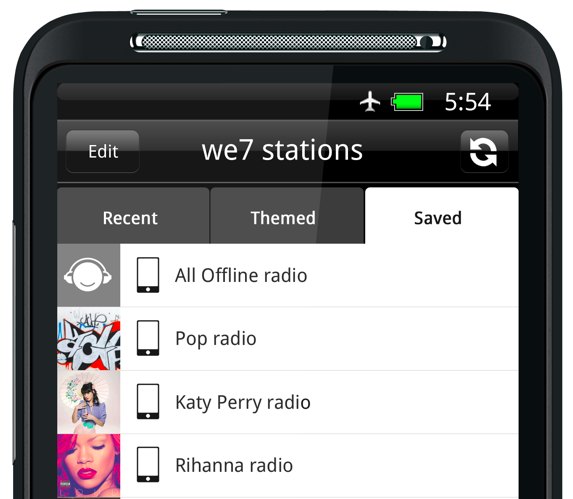 Offline mobile personal radio is available from today on the company’s Android app, with more platforms to follow soon.